In this morning’s New York Times I read a terrific article “Americans Are Finally Eating Less”, describing a downward trend in recent years in our consumption of less calories than in years past. The article is good news on several fronts. The data on soda drinking is heartening, overall it has dropped by 25% since the end of the 90s. According to the report the obesity rate has stopped increasing, and may be decreasing for toddlers. While good news is good news, my problem with the article is that it chains lower calories in the diet to losing weight. It doesn’t work that way. We here in the US are not fat and getting fatter because we eat more calories than we expend. A calorie doesn’t weigh anything. Talk of burning calories puts the wrong idea in your head, because no matter how much physical work you do in a day, the weight you lose that day is independent of that work. If you get on a scale and weigh yourself before and after a five pound meal you will find that you weigh five pounds more. That is weight gain. At the very same time the next day, before the next meal, if you weigh yourself again you will weigh the same amount as the day before. That is because you must calculate all of your inputs and outputs to exactly balance the weight equation. You will have passed solid waste, evaporated and passed liquid, and exhaled carbon dioxide. A normal person’s weight will fluctuate two or three pounds each day, over the course of the day. Personally, I always weigh about two pounds less after sleep than I did before I went to bed. Where did that weight go? I exhaled it. Every second you live, every cell in your body consumes energy, but energy has no weight. That energy comes from fat stores in a healthy person, and it comes from excess blood sugar in a person that is insulin resistant. As a healthy person, my blood sugar does not stay elevated all of the time and when it is depleted my liver calls for more to be released out of fat stores, but not in the form of glucose, in the form of ketones. Ketone bodies are the energy provided for your cells to meet their momentary energy needs if you do not have sugar floating around in your bloodstream. If all I care about in my diet are ‘calories’ then I don’t realize that some foods have a huge effect on my blood sugar and insulin levels. Only one kind of food (of the three kinds:fat, protein and carbohydrate) can be turned easily into body fat. Eating carbohydrate, the starches and sugars are immediately turned into blood sugars, either fructose or sucrose. As these sugars increase your body almost has an allergic reaction, instantly secreting insulin to keep the sugar level below the danger level, to return it to the tight band that is the normal blood sugar range. Where does the sugar go when it leaves your blood? Fructose is converted by your liver immediately into liver fat. It is the only organ that can deal with fructose. Table sugar is made up of half fructose and half glucose. The glucose goes straight into your blood. Insulin commands muscle and organ to bring glucose out of your system, but those roads can only handle so much traffic, and glucose that does not go immediately to use is turned into fat stores, where it is changed into fatty acids. Three fatty acids are tied together in a fat cell, where they are too big to get through the cell wall, and must be broken down, when needed into ketones for use by the cells. Fat stores are not turned back into glucose. The process that I just described only happens with carbohydrates. If you eat nothing but meat you never get high blood sugar, an insulin reaction, and nothing is put into your fat stores. None of it happens. People never gain weight rapidly without an underlying medical condition to have caused it. People gain weight gradually, taking a long time to get obese, except sometimes gaining a lot of weight is perfectly normal. Think of the infant taking nourishment from it’s mother. Every breast fed baby is a plump collection of fats and rolls all over their little body. It’s normal, its a desired effect of eating real food, they are immediately propelled to their natural weight for that diet, at that time in life. As soon as they are weaned all of that cute fat disappears over time and if they are still eating real food, their weight drops to the normal weight for their new age. It has very little to do with the calories that they eat versus the calories that they ‘burn’. If it were just a matter of eating less, or eating less calories, then there would not be an obesity epidemic. Everyone could just cut calories a little bit and the weight would come off as gradually as it went on. Unfortunately for us, the constant drumbeat of advice that we are “eating too much” is counterproductive. It is counterproductive because eating less doesn’t seem to fix anything. It doesn’t fix anything because we are still eating what turns into body fat in the first place, carbohydrates. The news that we are drinking a lot less soda is certainly good news. 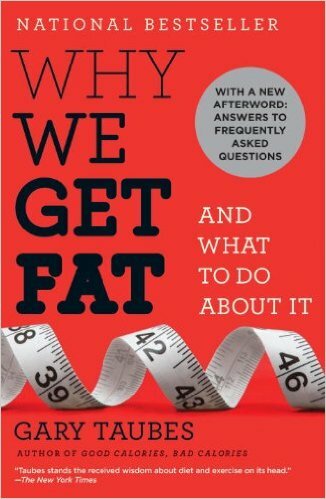 That good news is not so good when you see that just as many people are obese as last year, the weight curve is not headed in the right direction, and I argue that it is not headed in the right direction because we are still telling obese people that they must eat less calories to lose weight, that the solution is in how much. The solution is in what we eat instead. Get your calories mostly from fat and protein. The food part of our diet is horrendous and remains horrendous. Not because there is too much of it. This entry was posted in Health, Living and tagged carbohydrates, how to lose weight, obesity. Bookmark the permalink.